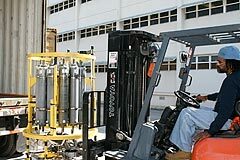 Most gear, including instruments and flotation are placed in square cages, or baskets, like these and loaded by forklift into containers for shipping (via container vessel) to Cape Town South Africa. 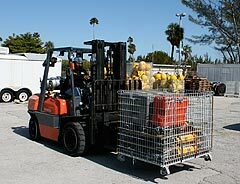 In Cape Town we will unload the gear from the containers and reload it onto our research vessel, the RV Knorr. Glass floats with “hard hats” for protection. 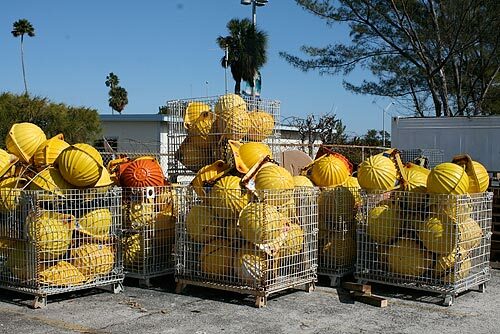 These floats are strung together and attached to our current meter moorings to keep them taut and upright in the water column. 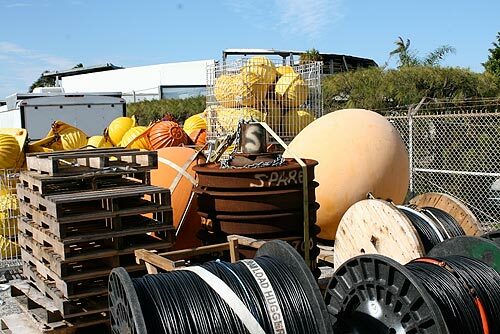 Reels of mooring wire, an anchor, and more floats. 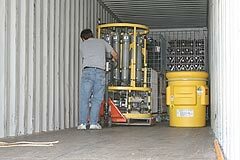 Loading a basket with acoustic releases and other instrumentation into the container. Loading the rosette into the container. 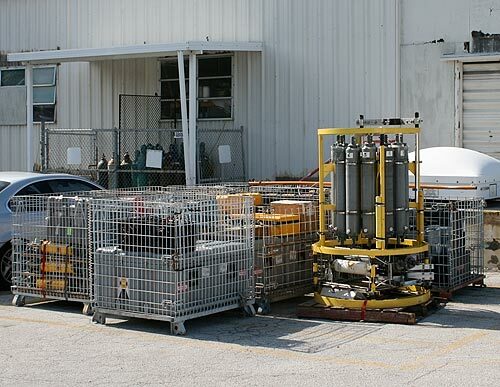 The rosette is a frame holding bottles for sampling seawater at different depths. At the bottom of the frame sits an instrument called a CTD - which measures conductivity (for salinity), temperature, and depth.